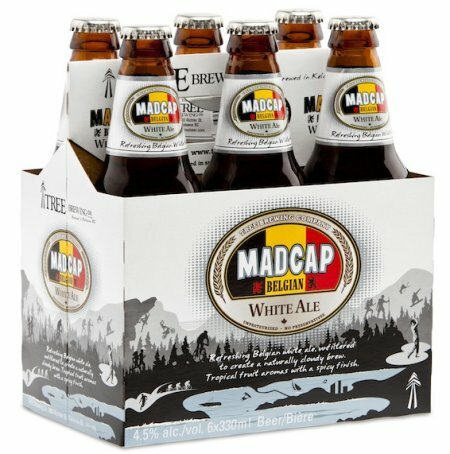 La Brew Ha Ha, Happy St. Jean-Baptiste Day Everyone! Forgive me for getting in on this holiday late, but I’ve been busy with family these last few days. Lots of birthdays and visits happening! But now that I’m back, I thought I’d spend some time playing catch up. As usual, our trip up north took us through Duncan and some of the best beer shopping on the island. And wouldn’t you know it, I happened to find a specialty beer that was brewed in honor of this day, at least for the residents of Squamish, BC. 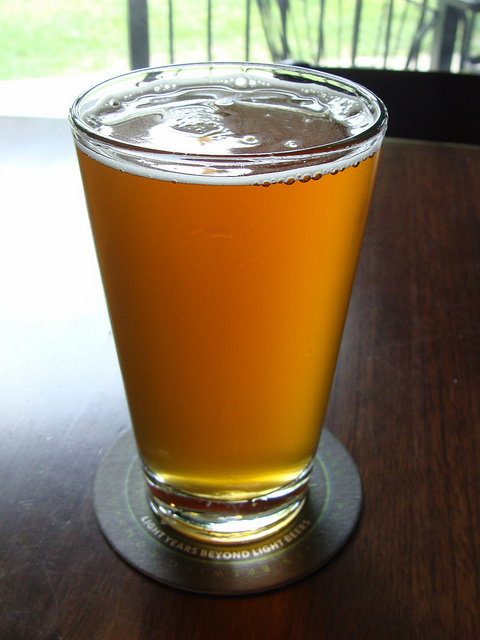 Known as La Brew Ha Ha by Howe Sound, this Belgian-style Blonde Ale is a strong customer that is consistent with the brewing traditions of the La Belle Provence! As someone who’s sampled many a Quebec brew, I can attest to the fact that traditional Belgian beers are quite the hot ticket there. And whether it is Unibroue, Brasseurs du Temps, McAuslan, or Dieu du Ciel!, they are adept at producing some pretty strong ales! Overall, I was reminded of La Fin Du Monde, but with a lighter flavor than its predecessor. It was also highly reminiscent of a strong white ale, in that it had some strong notes of banana and clove spice as well. And the fact that it combined these together in a faithful way is consistent with what I’ve come to expect from Howe Sound and their specialty lineup. Happy belated St.Jean-Baptiste Day everybody! Stay tuned for my coming review in honor of Canada Day, dedicated to a beer that was brewed in honor of Canada Day: Innis and Gunn’s Canada Day 2012! Not long ago, I was tasting this beer’s peer, known as the Dirty Blonde Pale Ale. I couldn’t help but mention this beer in that review, given its obvious quality. And so I went back to the beer store, picked up another 4 pack (which is their thing) and resampled it to make sure my impressions were fresh and informed! Many months ago, I found myself endlessly sampling West Coast IPA’s. This was done partly out of a general sense of affection, but also out a desire to see just how many decent varieties we seem to produce here in the Pacific Northwest. As part of this research, I picked up not one, but two IPA’s produced right here in BC. 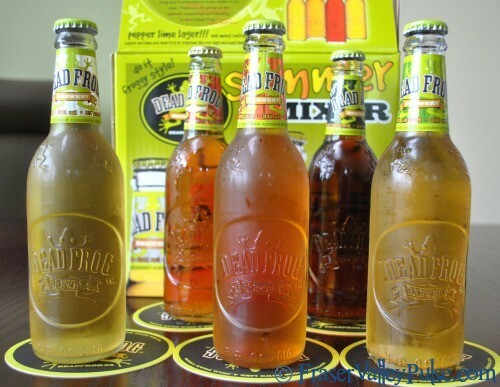 Established back in 2006 in Aldergrove BC, Dead Frog quickly expanded to feature its four original varieties: a lager, a honey lager, a pale ale, and a nut brown. Since then, they’ve expanded this repertoire to include a number of fruit beers and several signature brews. It seems appropriate then that of these two IPAs, one is a regular item while the other is part of an experimental lineup, which fall under the name of “Fusion Hopped”. 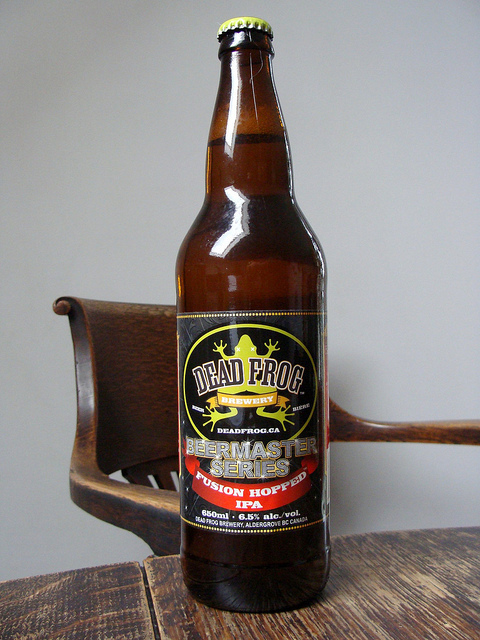 This beer is a relatively new installment in the Dead Frog lineup, and one which appears to be a permanent addition in the 650 ml series. Overall, I would say that this beer is an inspired example of a West Coast IPA, blending Citra, Cascade and Columbus hops with North American and European malts. What results is something typical of IPA’s, with strong, slightly sweet malts, a floral, bitter, and citrusy hop bite that contains distinct notes of grapefruit. And of course, it balances all this with a higher than normal alcohol content (6.5 % alc/vol). A good spring or summer beer for folks who are accustomed to stronger beers or just love the taste of hops. Here we have a specialty brew which appears to be part of a growing group of beers known as the “Brewmaster Series”. This series seems to revolve around the concept of specially hopped beers, given the nature of their releases so far. This includes the new “Fusion Hopped Pilsner” and of course the beer which I am reviewing here, the “Fusion Hopped IPA”. 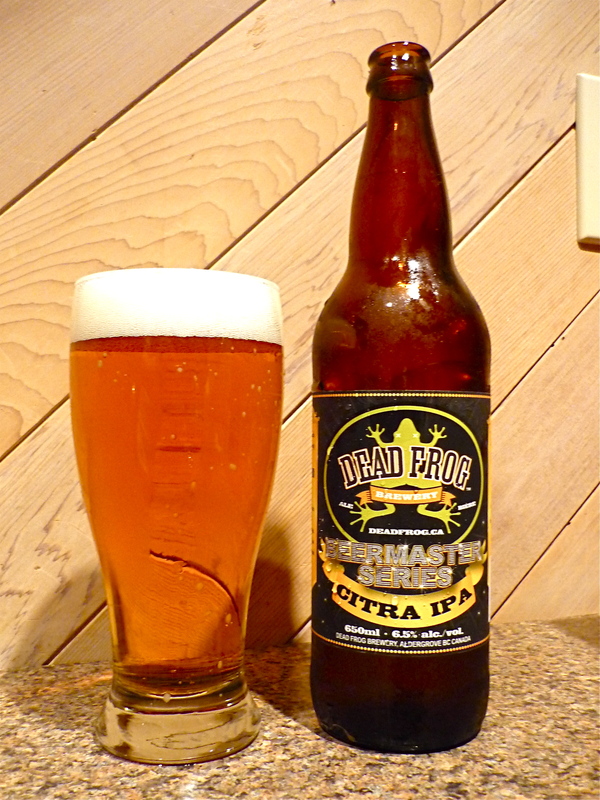 This specialty IPA combines dry hops and heavier malts with characteristics typical of an India Pale Ale. The end result is a dark, slightly heavy beer that’s accented by a big hop taste that contains discernible traces of dry hops and bitter grapefruit. In this way, it blends some of the best aspects of a dark ale with an ESB and an IPA. But allow me to tell you what I thought of their Honey Hefe, as I feel I am in the unique position to speak about it before most other people will get a chance. Combining local honey from the Empress Hotel’s own beehives with a German-style hefewiezen, Hoyne has produced yet another winner which also happens to be a very refreshing take on the summer wheat. God, I love summer! The warm weather, the sunshine, the barbeques and beers on the patio. And beers specifically made for summer are a total delight, aren’t they? 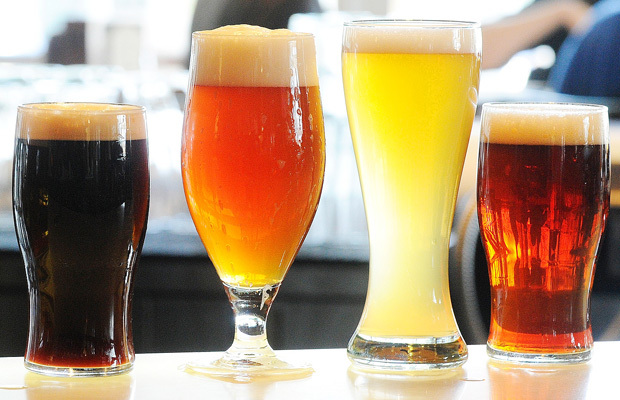 Nothing goes better with hot weather than a nice, cold, refreshing lager, summer ale or wheat beer. Hence my brewers like to release these as seasonals whenever the summer rolls around There’s just something about a golden-hued or cloudy orange beer that goes well with warm winds, hot sun and the smell of grilled meat and everything that’s in bloom. And hence why I picked up Tree Brewing’s new white ale, which arrived a few weeks back in my community, just in time for summer. Unlike their hefewiezen from a few years back, this one is a distinctly Belgian style wit – unfiltered, unpasteurized, and made with what I can only assume is a Belgian strain of yeast. The taste certainly alludes to as much, and is consistent with some of the best wits I’ve had in recent years. Conclusion, a good summer beer! And I recommend you get some since, if their hefeweizen is any indication, this beer is strictly a summer affair. So find yourself a six pack, pull up a chair on the patio, and indulge! 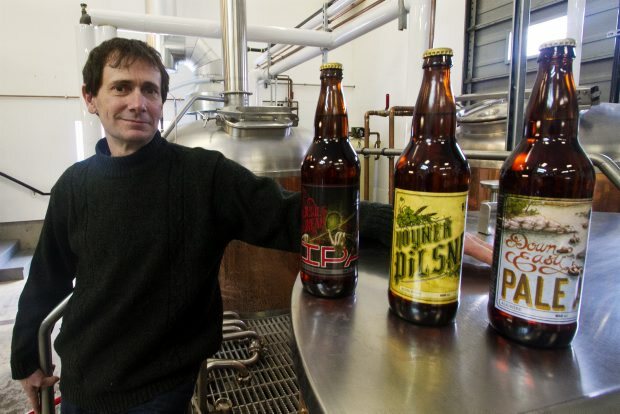 Just the other night, the winners of the 2012 Canadian Brewing Awards were announced. It all took place in a gala ceremony in Montreal, the final event in a two day conference that also overlapped with part of the 19th annual Mondial de la Bière. As usual, the list is long and varied, but I’ve managed to procure the list with its many winners and honorees. Here they are, ordered by category and place. See if you can’t spot some of your favorites! Silver: Sleeman Original Draught, Sleeman Breweries Ltd.
Brewery of the Year – Central City Brewing Co.
Back from Ladysmith for the weekend, and I just happened to find myself some new beers while making a routine stop at one of Duncan’s many liquor stores. Man, that town is stocked! And this time around, I discovered a special feature. Brewed by Central City from Surrey, BC (the same makers as the famous Red Racer lineup), their Imperial IPA is what you might call an IPA on steroids, or a very strong IPA. Either description would be apt. As an Imperial IPA, it is strong in terms of its alcohol content (9.5% alc/vol), hop content (90 IBU’s), and malt flavor. The end result is something that can be a bit overwhelming for the uninitiated, but which is a rewarding experience for fans of strong ales and IPA’s alike. And in many ways, the different strengths serve to round each other out, providing a drinking experience that is both challenging, yet strangely balanced. In the end, this beer lives up to the advertising. When a beer includes the term “Imperial” in its title, it means a beer of greater strength and density. As such, one can expect a beer with some strong, coarser malts and real toasty flavor. And where IPA’s are involved, one can also expect plenty of hops and a flavor that gravitates between the floral, bitter and citrusy. And that’s exactly what this beer has going on! If you’re a fan of the strong, challenging, sweet, and bitter, pick yourself up a bottle before it goes back to the mainland.